In the September of 1986 I was working for two weeks in Rotterdam and although the first week was quite busy the second week afforded me more time to wander the city and I even managed to go to Amsterdam for a day. While walking round the city centre I discovered a record shop in one of the side streets, a small independent record shop with a display of record sleeves in the window. Among all the well known record sleeves were two which caught my eye even though I had not heard of either artist. That was the thing about LP covers they were big enough to put on display and the artwork looked good when it was 12″ square – something that never did translate to the CD but I digress. I think I must have walked past the shop everyday and stopped and looked at these covers – maybe the shop wasn’t open when I went past or maybe there didn’t seem much point in going in, after all it’s not as though I would have had anything to play them on. There was also the decision to be made about which, if any, I should buy. I’d never heard of Peter Case but there was just something about the cover that reached out to me. The image of the guy in the suit with a hat plonked on his head at a jaunty angle idly strumming a guitar looked cool as did the desk covered in books and a discarded pair of glasses. I don’t think I asked to hear it before I bought it but buy it I did and stored it safely in my hotel room. I bought other things while I was out there. In a bookshop I found a book of Bob Dylan’s lyrics called Bob Dylan Compleet Lyrics Alle Songteksten which covered the lyrics from1962-1985 (Up to Empire Burlesque) and was an updated version of Writings and drawings which I had bought at Blackbushe in 1979 and was now showing distinct signs of wear from over use! I also went to see Rod Stewart who it turned out was playing at the Ahoy centre which is where I was was working. As the gig was literally next door I thought it would be rude not to go! So I bought a ticket one lunch time and when asked if I wanted standing or seated I went for a seat. This turned out to be a mistake as the venue was actually a cycling venue and the sides were very steep and high. I think Rod was onto his third song before I let go of the arms of the chair! Like the first one it featured a picture of the artist sitting playing a guitar but where as the first guy looked sharp and cool this guy was the direct opposite. He was sitting on a beer crate with a bottle of drink in a bag at his feet, rocking back and playing his guitar like he meant it. Shabbily dressed with his hat square on his head, you could tell this guy had seen some hard times. I took the album back to the hotel, stashed it in the van with the other one and set off to drive to the Hook of Holland and catch a ferry home. When I got home and played the albums both of them were brilliant but in very different ways. 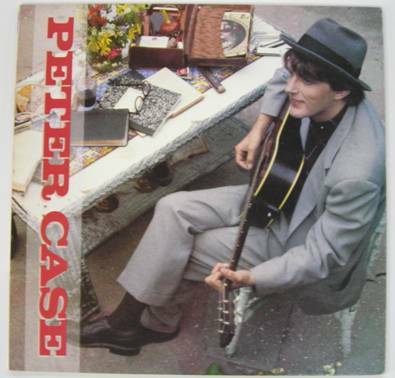 Peter Case‘s album was more uptempo than the cover would have suggested. The harmonica driven electric Americana with Peter’s laconic vocals contrasted sharply with the laid back image on the cover. The songs were mostly self written but there was a cover of the Pogues song A Pair of Brown Eyes. The Ted Hawkins album, by contrast, was much more laid back with Ted’s sweet voice with it’s rasping undertones backed only by his simple straightforward guitar style. Most of the album was comprised of cover versions such as The Green Green Grass of Home and Take me Home, Country Roads. Once again the cover image portrayed a different image to what was contained within the grooves of the lp. The voice didn’t seem to fit the rough down and out image that graced the cover and which as it turned out was close to the truth. 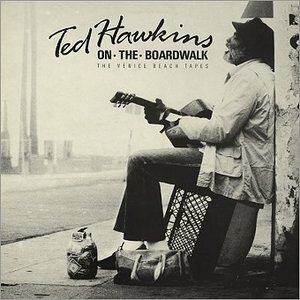 Ted Hawkins has spent most of his life busking on the streets and boardwalks of Venice Beach California where he claimed the sand and spray had given him that gravel tinge to his voice. He had been in and out of trouble with the law and in and out of various correctional institutions for much of his life. He wore a glove on his left hand while playing guitar due to an injury, he played in an open tuning which allowed him to play mostly barre chords. It was in 1986 that he moved to the UK forsaking California for the delights of Bridlington prompting comments that most people move to California when fame knocks rather than the other way round. 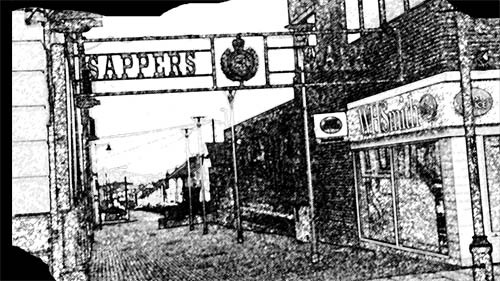 He played his debut UK gig at the 100 club a month after I got back from Rotterdam but I didn’t get to see him till November when he undertook his first UK tour. I saw him at the Kings Head in Fulham on the first of November with Howlin’ Wilf & the Vee Jays as the support. The princely sum of £5 was the entrance cost. I had already been to see Peter Case by the time I got to see Ted Hawkins – in fact almost the first two gigs I saw after getting back from Rotterdam were the two people who’s albums I had seen in that shop window. I saw Peter at the Shaw Theatre on Euston Road, an odd venue at the time as I seem to recall that it had very plush velvet seats not like a rock venue at all. The theatre is still there but is now part of the Novotel Hotel and I have been there and worked on a number of occasions since. After 1986 I lost touch with both artistes and sadly Ted Hawkins died from a stroke in 1995, a few months after the album which brought him the most commercial success, Next Hundred years, was released. I caught up again with Peter Case at the Borderline in Charing Cross Road in 2003 when he appeared solo acoustic and in my mind was exactly like he should have sounded when I first saw the album in that shop window. This was my first real attempt at field recording so be gentle with me! We arrived at a cottage in Weardale late in the evening when there was still snow on the ground. 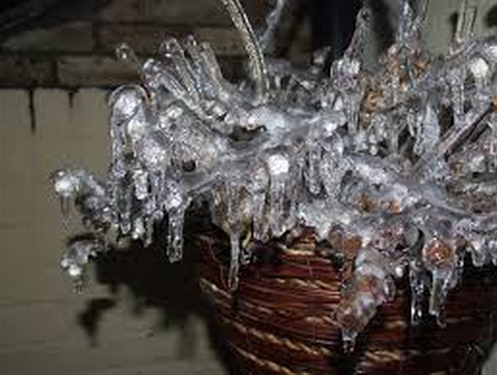 I went out to get some coal for the fire and was intrigued by the sounds of the ice melting and water dripping in the backyard so I recorded it. I used a Sharp MD MT20 minidisc player with a (Fake?) Sony ECM-DS70p microphone plugged into it. This was the first time i have used this microphone and while the recording is of good quality it also picked up some noise from the MD recorder so I will need to think about positioning the microphone away from the recorder if recording low level sounds. This sound was the very first sound featured on Radio 4’s PM programme when they were asking listeners to send in their favourite sounds in January 2014 – four months later we bought a house just dwon the road from where this sound was recorded! Go and see them, you know it makes sense!